This fun treat is tasty and fun for kids. 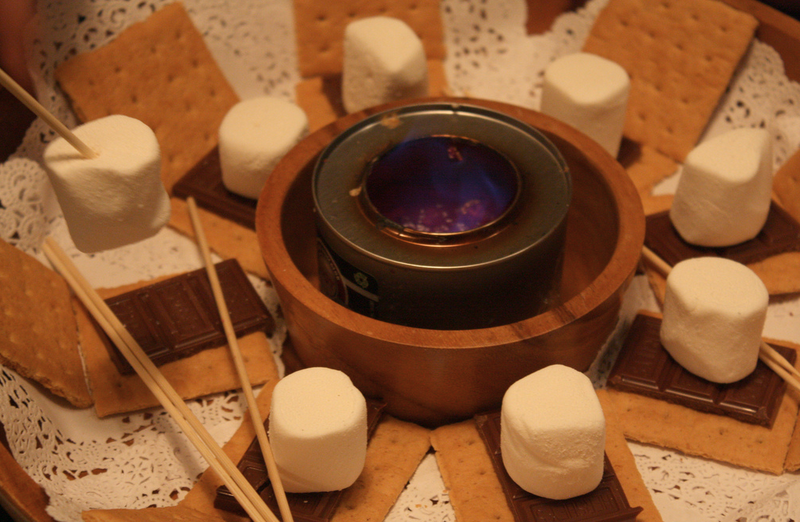 It's a cold fondue that will satisfy your s'mores cravings on a hot summer day when you are inside the air conditioned house! In a large bowl, whisk Cool Whip Whipped Topping, instant pudding pwder, coconut extract, and nut & butter extract together. Transfer to a large, decorative bowl. Drizzle with chocolate syrup, sprinkle with mini chocolate chips. Serve with graham cracker sticks for dipping.